Yay – it’s here! 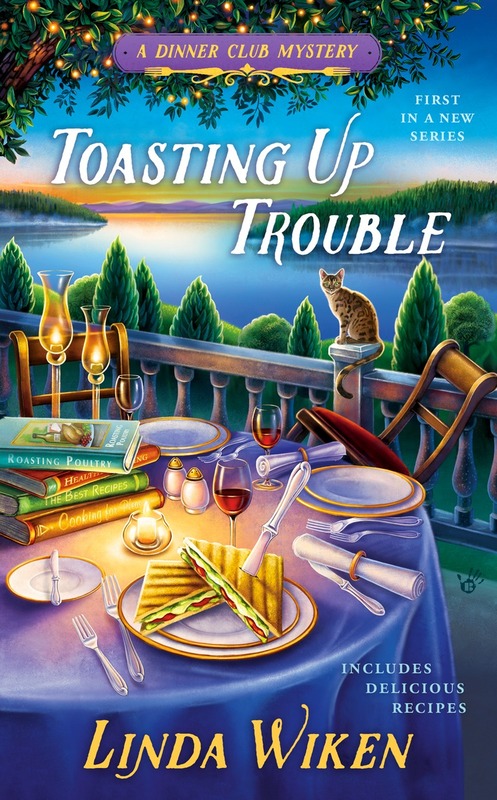 MARINATING IN MURDER, the third in the Dinner Club Mysteries, is now on the bookshelves and my story is being told. However, it’s one I try not to think about. I mean, what’s a cop to do when her worst nightmare comes true? Try finding a body in the back of your vehicle. That’s bad enough. But when it turns out to be your estranged husband…can you just imagine the horror followed by the stress of trying to prove you did not do it? Thank goodness for my wonderful friends of the Culinary Capers Dinner Club. I know, usually I’m advising them to stay out of murder investigations but now that the tables are turned, so to speak, I’m relying heavily on the tenacity and smart of J.J. Tanner, in particular, to find the real killer. She’s done it before. They all have as there’s often been a body found at one of the special events J.J. plans. That’s her job and she’s good at it. But we know her best as the newest member of our Dinner Club. She’s learned how to hone her cooking skills with us, and the others have sharpened their investigating skills over the years. 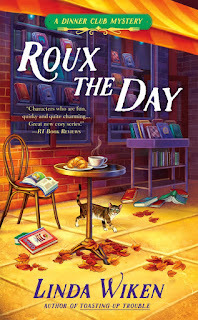 It’s a good match, especially for readers who like a mix of food and mystery. Of course, I am a bit biased. But I was also counting on the gang to work their magic once again. Especially when all the other shocking details started emerging. I still can’t believe it! 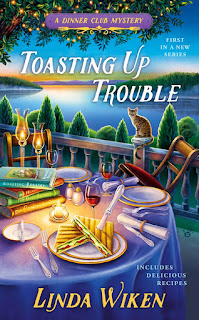 Yes, we're celebrating the release of book #3 in the Dinner Club Mysteries...and you could win a signed copy by leaving a comment! Be sure to leave your email contact info, also. The draw will be made Thursday, midnight. Good luck! Book #3, MARINATING IN MURDER is here! 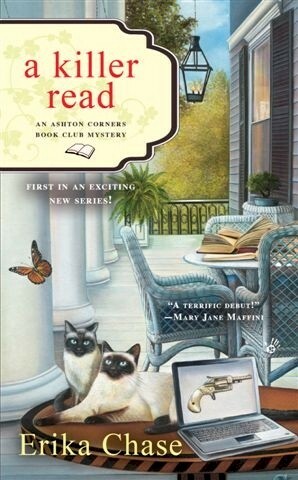 Find Book #2 in the Dinner Club Mysteries at your favorite bookstore or online. These books are amazing. I just love them. Thanks, Debby. So happy you do. This is a fun series! The characters are great , and I love the supper club concept. cking78503(at)aol(dot)com. Glad to hear that, Chris. Thanks so much. 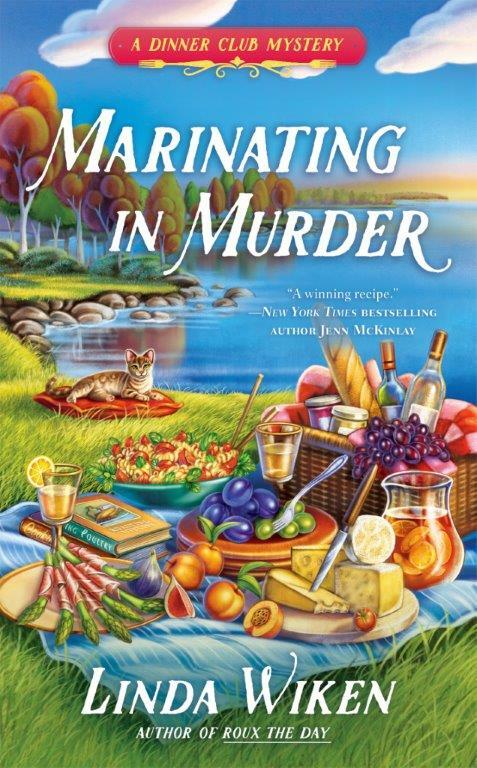 Adore everything about this cover - bright and colorful, cat laying in the background and the knife stuck oh so precarious in the cheese. 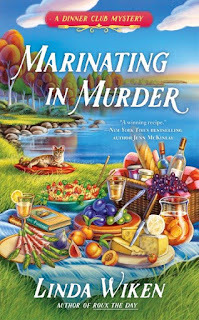 Can't wait to have the opportunity to read "MARINATING IN MURDER". Thank you for the chance to win a copy that not only would I devour but that I would also share with others. Thanks for the kind words, Kay and for entering. Thanks for leaving a comment! I love the cover, too. Thanks, Ashley. I appreciate you taking the time to enter. 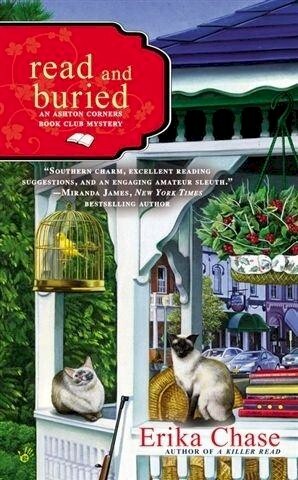 I was gifted with the first two books in this series and they were a fun read. I'd love to win a copy to add to my collection and growing home library. So nice of you! Thanks. Thanks for entering. I also love the cover. Congrats on the new release! I'm intrigued by those shocking details. This is a great series. Looking forward to reading "Marinating in Murder". OMG! I'd be charged with murder bor sure if my ex was found dead in my car. Congratulations on your newest book release! Yes please. The books all look fantastic. Happy release week! I loved the first two books in the series. Thank you so much for the chanc to win this one! 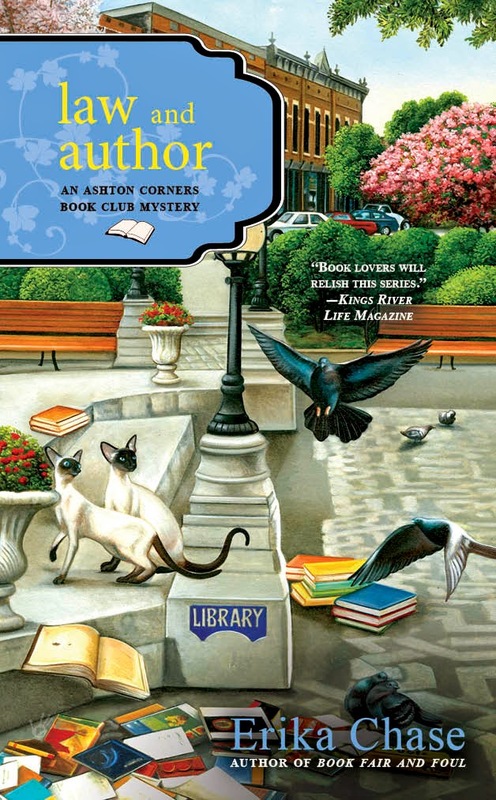 I discovered Linda Wiken in a used book shop...and intrigued by the cover. Took it home and read that afternoon! 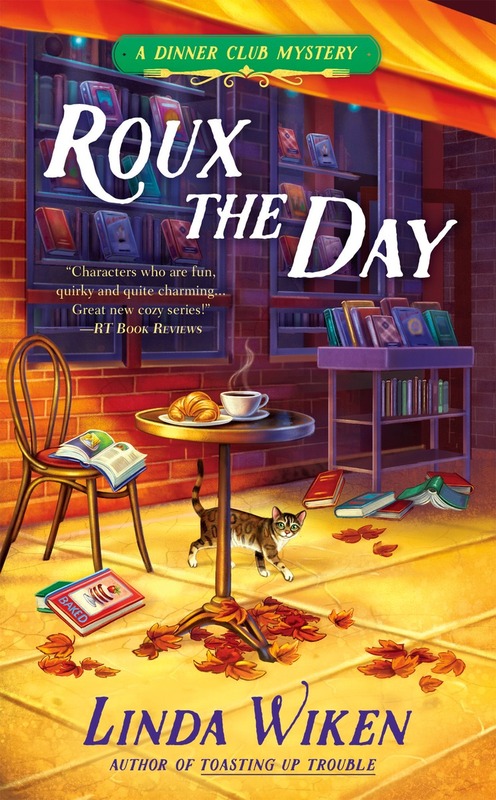 Love the characters, the books, and the recipes! 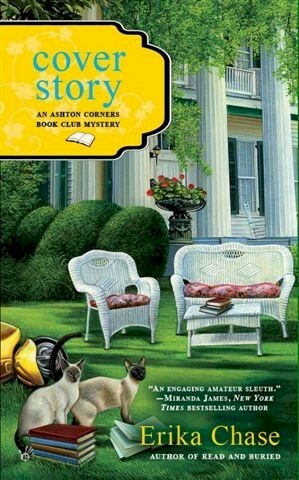 I would love to start reading this series. really fun series and i have been waiting for this newest installment. Congrats! Thanks for the giveaway. Love the covers on all the books.